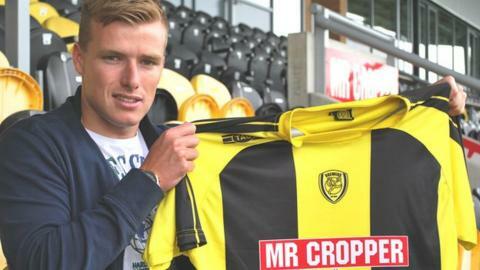 Burton Albion's latest signing Damien McCrory says winning promotion from League Two is realistic this season. The former Republic of Ireland U-19 international left-back, 22, signed a two-year deal earlier this week. And although Albion only finished in mid-table last term after a miserable second half of the campaign, McCrory is confident about their chances. "Next season Burton can push for the play-offs - if not promotion," he told BBC Radio Derby. "The manager [Gary Rowett] is very ambitious and he want to be pushing for the play-offs. I've seen the players that are here and I'm impressed." McCrory added: "Hopefully I can come into the team at the start of the season, do really, really well and get noticed. "I want to go places. I'm young and I want to achieve a lot."